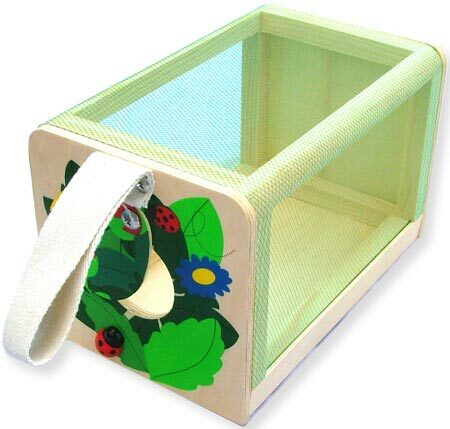 Insect Inspection Cage Wooden is a great toy for your budding biologist. There is a useful heavy duty calico wrist band which makes it easy to carry. A flap at one end slides open to reveal a hole where your insect can enter and of course leave when you have finished your studies. A lovely simple toy with attractive flower images on each end and 3D ladybirds. Size: Box is 11 x 18 x 11cm. We like this because: "lovely simple toy which encourages an interest in animals and also a great opportunity to teach about caring and returning animals to where you found them."